In an initiative to create a centralised information hub for plumbing professionals, Grundfos for Installers delivers a range of tools that are useful, relevant and rewarding. It combines the GO install app that gives access to a range of helpful tools, guides and information to your fingertips. The Ecademy education platform has been dispensing knowledge and rewarding successful module completion on a wide range of general industry as well as on pump specific topics for many years, and the Win & Earn loyalty scheme gives you points that you can translate into Amazon vouchers or sports goods. 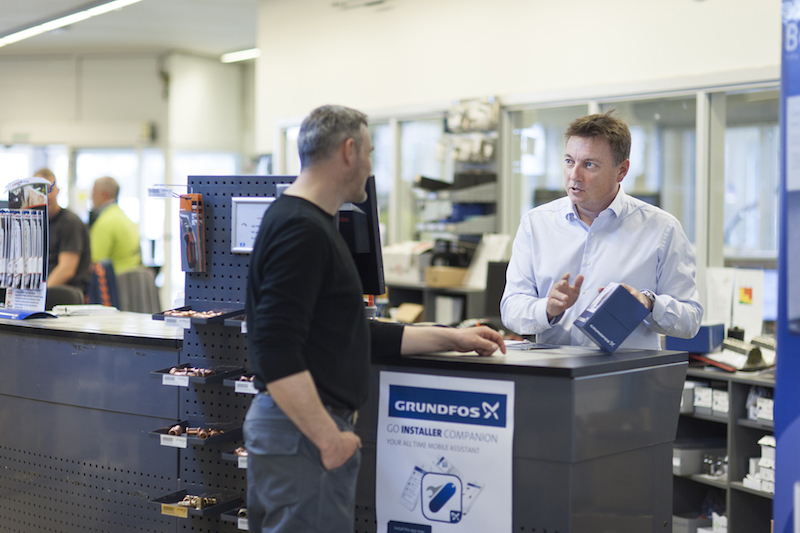 The Grundfos for Installers hub also offers some added extras that are aimed at helping industry people to grow their business with great on and off-line support suggestions and ideas. Available 24/7, it will help you to fulfil a wide range of tasks as well as providing you with assistance and some great hints and tips, all of which can be accessed from your computer tablet or smartphone.